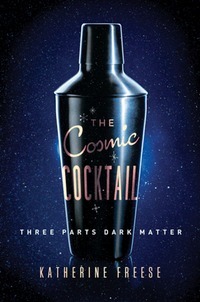 "The Cosmic Cocktail - Three Parts Dark Matter"
If the cocktail shaker on the cover doesn’t convince you that “The Cosmic Cocktail” might be an unusually entertaining physics book, maybe the lavender feather boa that author Katherine Freese wears for her dust-jacket photo will. This book by Katherine Freese, now out in paperback, is aimed at non-professionals interested in dark matter. The hypothesis that the matter in galaxy clusters is dominated by a non-luminous component, and hence is dark, goes back to a paper published in 1933 by the Swiss astronomer Fritz Zwicky, who also coined the term “dark matter”. But it has only been during the last 20 years or so that we have realised that the matter in the universe is dominated by dark matter and that most of it is non-baryonic, i.e. not made of the stuff that makes up all the other matter we know. The Cosmic Cocktail is a sweeping account of recent developments in cosmology and high-energy physics. Katherine Freese, Associate Director of the Michigan Center for Theoretical Physics, explains how the nature of the universe on the largest scales and at the earliest times depends on the existence of strange subatomic particles. Subjects range from mysterious dark matter that five times outweighs all known matter in the universe to the even less-understood dark energy that seems to accelerate the expansion of space itself, and the Higgs boson that lends elementary particles their mass. Much of the text concerns searches for particles of dark matter, some of them inspired by theories proposed by Freese. This section gives the best account of those experiments and the reasoning that motivates them in the current literature. Cocktail is recommended for bright undergraduates contemplating careers in hard science. Young female readers, especially, may be interested in the description of both the professional and social aspects that such careers entail, from a fine role model. Richard Panek's The 4% Universe (Mariner Books, 2011) is an excellent, much simpler rendition of much of the same content, but slightly outdated. Infinite Energy is the bi-monthly magazine of the New Energy Foundation It is a technical magazine with outreach to the general public, providing material of interest to all people. "The Cosmic Cocktail (Katherine Freese)"
"If you watched Cosmos or Through the Wormhole and want to know about the current research about dark matter and cosmology, look no further because this is the book for you. The book is readable, features cutting-edge science, and is wonderfully witty. In sum, a book that belongs on the shelves of anyone interested in science and how the universe works." "What the universe is made of (probably) narrated by a boa wearing physicist"
"Cosmologist’s ‘Cosmic Cocktail’ is a refreshing read"
Katherine Freese explores dark matter and other mysterious parts of the universe. Review by Andrew Grant. Virginia Trimble on the search for the mysterious, magical secret ingredient of the universe. 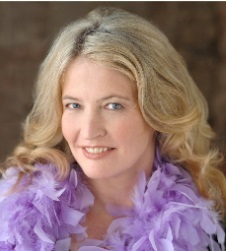 And author Katherine Freese is on the forefront of this hunt, as she relates in her new book, The Cosmic Cocktail: Three Parts Dark Matter out from Princeton Press. 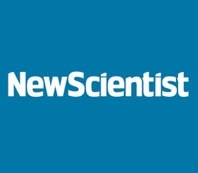 Review by Nicky Guttridge, a science journalist and Hubble public information officer. Freese suggests in the book that “any time now, the question of the dark matter may be answered” by any one of the wide range of experimental approaches. "A straight-talking woman's guide to dark matter"
Physicist Katherine Freese drinks deep of her life's adventures and cosmic mysteries alike in her captivatingly frank book The Cosmic Cocktail. #ThanksEinstein: Katherine Freese on how relativity rejuvenated her career. Princeton University Press Blog. 11/21/2015.